Project “Lietuva tavo delne” (Lithuania in your palm) cameras captured how seasons change and nature turns white in various parts of Lithuania. All locations featured in this projected got new time lapses and photos that let visitors see how colourful autumn replaces green summer and how it is then overcome by white winter; how spectacular Christmas trees glitter and how storms rage in the seaside. 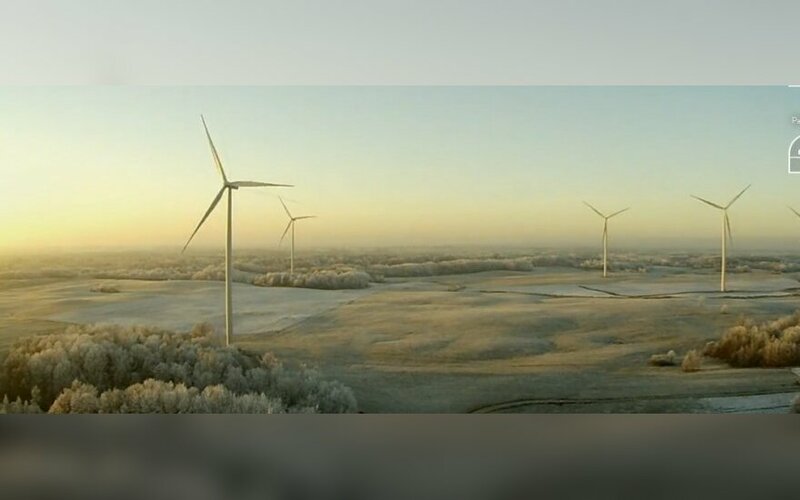 “Changing seasons are not the only new interesting things in the new time-lapses and photos. 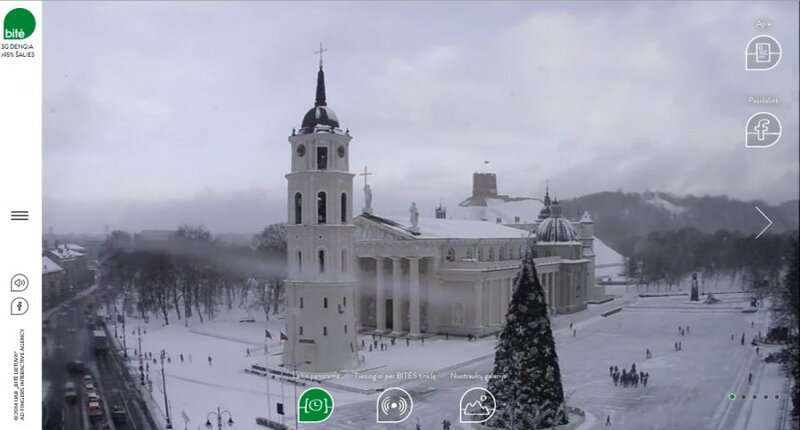 For example, city cameras captured how Christmas trees were built in Vilnius and Kaunas and seaside cameras show the rage of mighty storms. Cloud, sun and fog play looks very impressive in time-lapses from Parnidis Dune, Nemunas near Raudonė and wind turbines in Žemaitija planes. 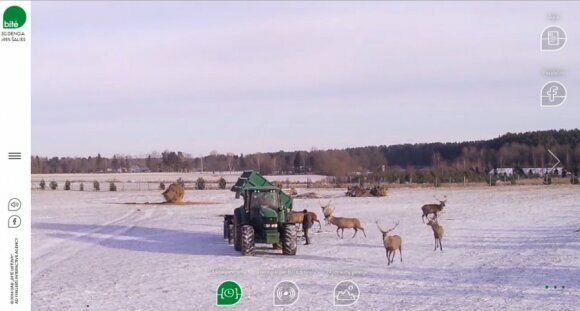 Project “Lietuva tavo delne” also documented how slowly lake Galvė freezes and how deer meet winter. 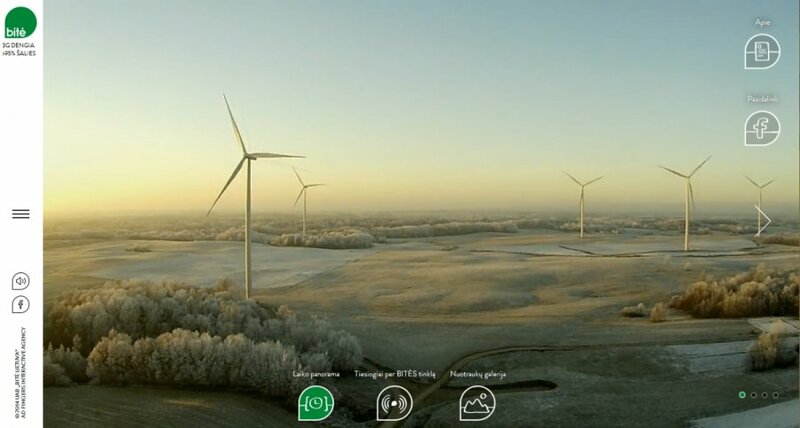 All of these images are captured in the new time-lapses and photo galleries,” said Pranas Kuisys, marketing director of “Bitė Lietuva”, that initiated this project. Since the start of the project over 200.000 people from 128 countries watched the live streams for more than 1 million times. 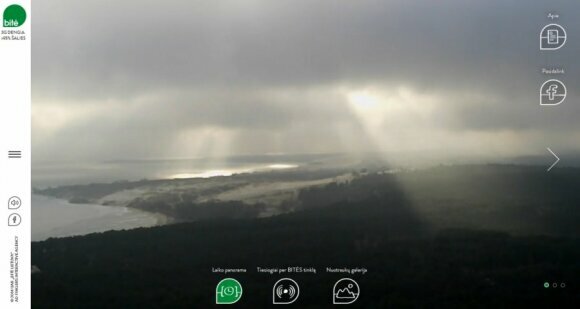 Live translations from Palanga, Trakai, Nida and Vilnius from “Hanner” skyscraper are the most popular locations. Lithuanian representation offices in 60 countries and various media, information channels are featuring links to these broadcasts. In near future “Lietuva tavo delne” will add new live broadcasts to its portfolio. Project “Lietuva tavo delne” was launched in late September. It aims to present an opportunity for Lithuanian or any other country citizen to view live broadcasts from the most beautiful and interesting places in Lithuania, while using mobile technology. In order to do that, people just need to visit www.lietuvatavodelne.lt on their computer or mobile device.